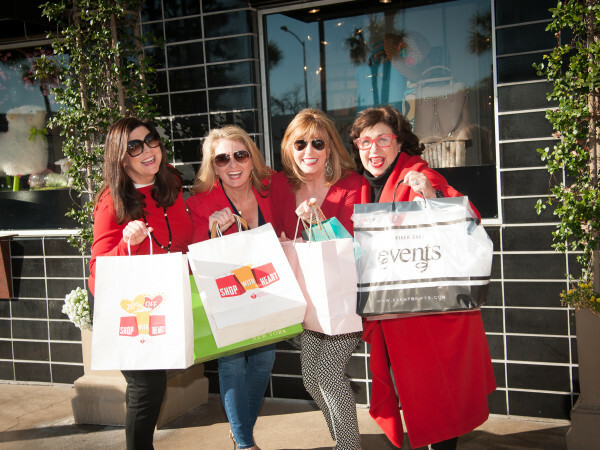 A lot of people think the East End is quickly becoming the "new Montrose." 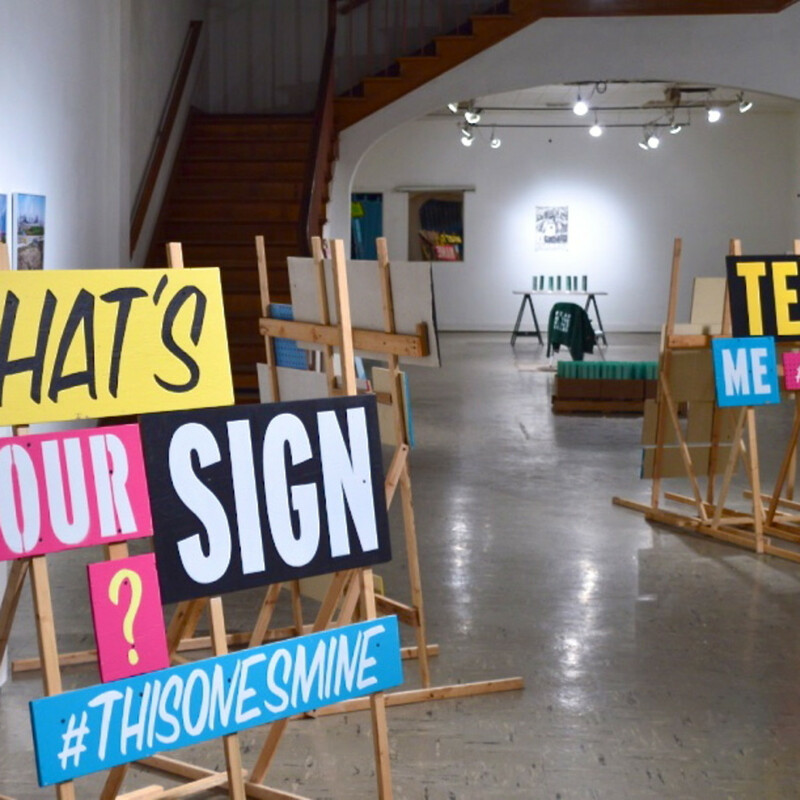 The area, which roughly runs from BBVA Compass Stadium to 610 South Loop West, is exploding with some of the city's coolest art galleries and shops, and CultureMap is here to give you a rundown on some of the area's can't-miss destinations. 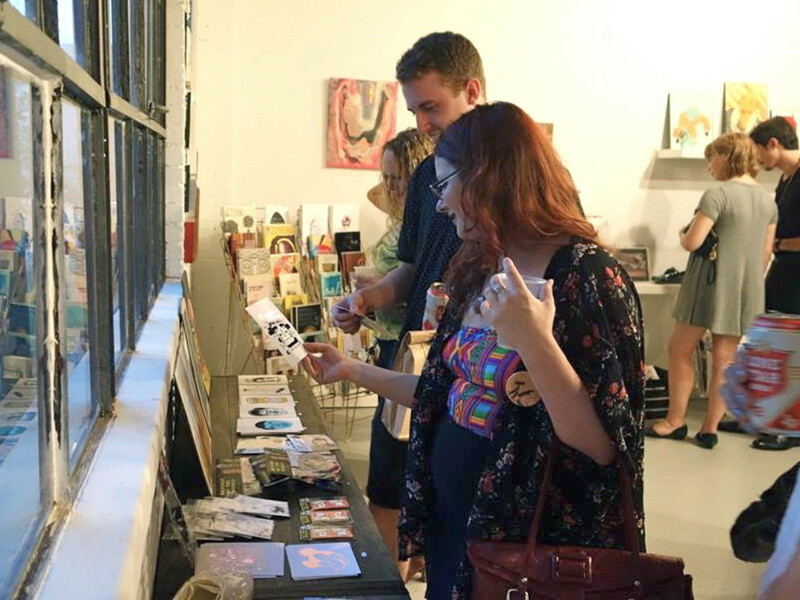 With three large interior spaces and a window gallery, the artist-run nonprofit BOX 13 ArtSpace has plenty of room for exhibiting innovative contemporary works that wouldn't be shown in a commercial gallery. 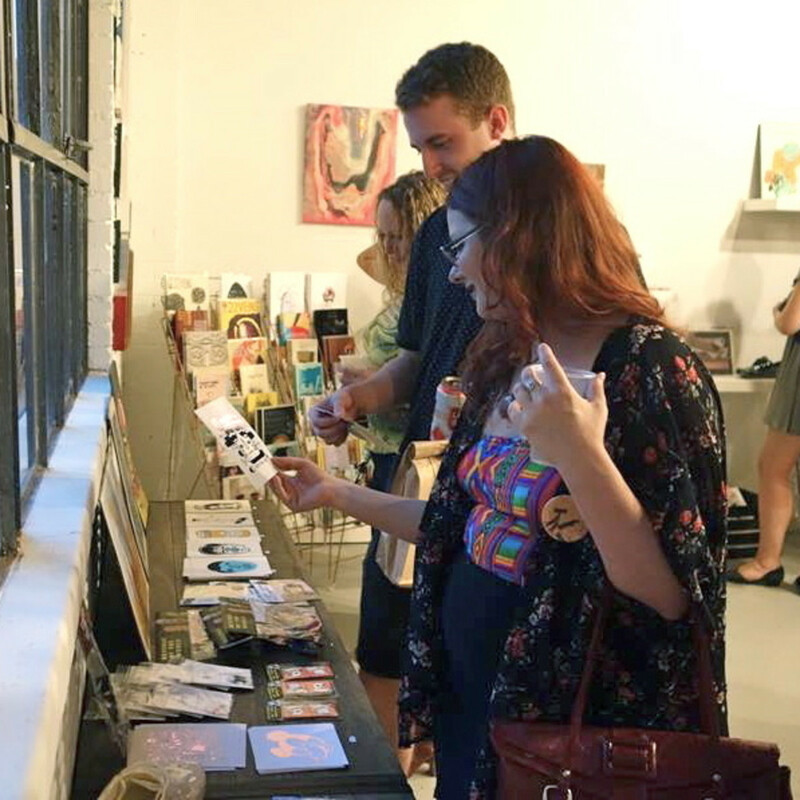 In addition to showcasing work from emerging and established artists, the location offers affordable workspaces with more than 15 studios for residency. 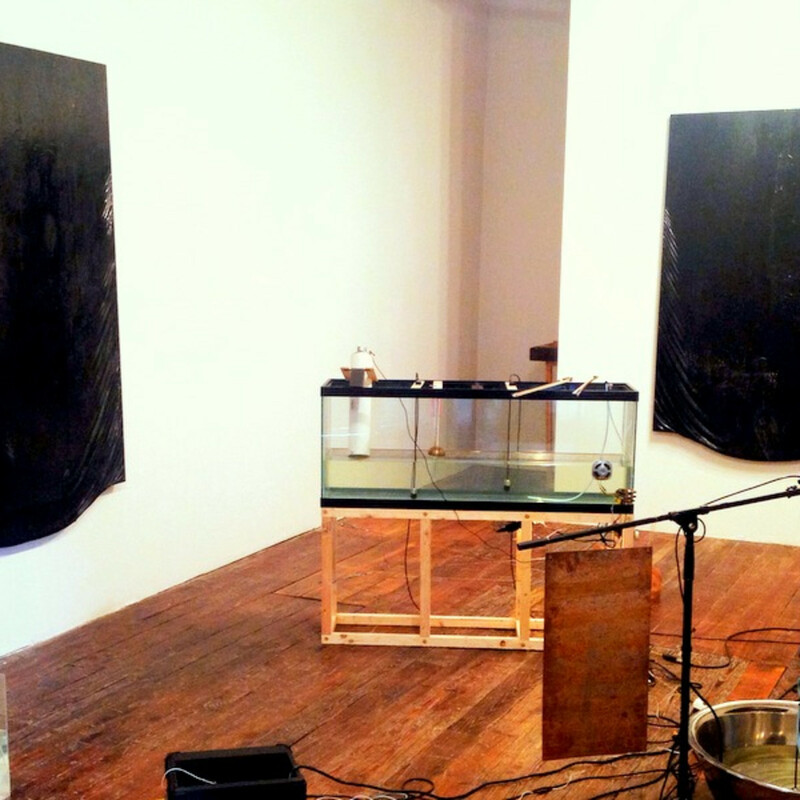 The resident-directed gallery spaces are host to roughly a dozen exhibitions a year and openings often feature exhibitions by several artists at once, with each of the gallery's large spaces occupied by an individual artist's work. BOX 13's first fall fête, ICE BOX, takes place on Saturday (November 14) from 7 to 10 pm. The party will feature drinks, live music, a photo booth and an auction of one-of-a-kind artist-made snow-globes. Tickets for the event start at $10. Additionally, BOX 13 is hosting the opening for three new exhibitions by David Waddell, Aimée Beaubien, Isabel Cuenca and Matt Manalo on November 21 from 7 to 9 pm. The exhibitions will be on view through January 9. BOX 13 is open from 1 to 5 pm on Saturdays during exhibitions, as well as by appointment. 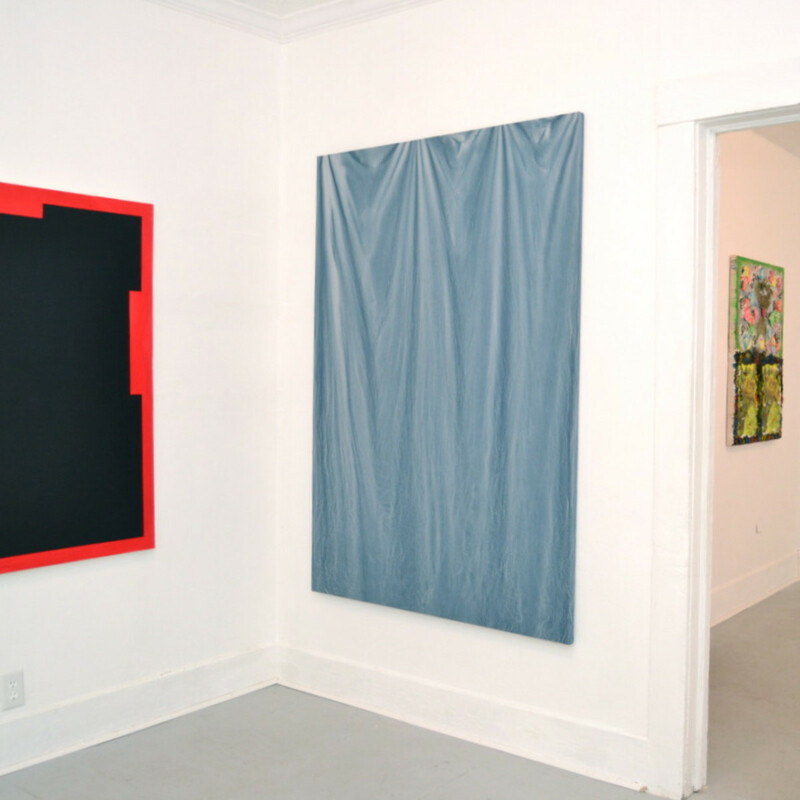 Founded in Portland more than 10 years ago prior to director Paul Middendorf's relocation to Houston in 2012, the non-profit art space galleryHOMELAND focuses primarily on emerging and mid-career artists and has a reputation for showcasing some of the most ambitious exhibitions in the city. 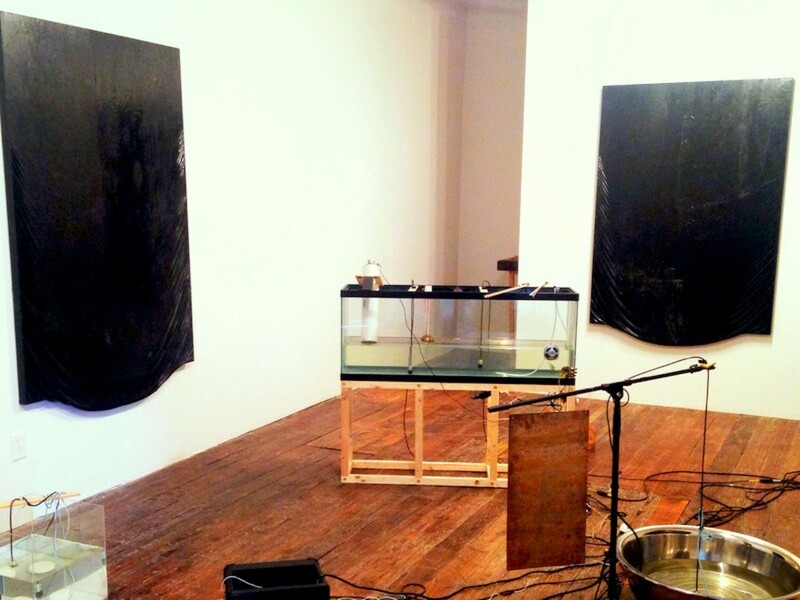 Middendorf recently added HOMEcore, an annex located just down the street that features additional space for both exhibitions and events, which range from live music and film screenings to performance art and the gallery's "HOMELAND Soup" micro-grant fundraisers. The gallery features a comprehensive schedule of events, including the upcoming "Friends and Neighbors" cocktail event on November 28 at HOMEcore. 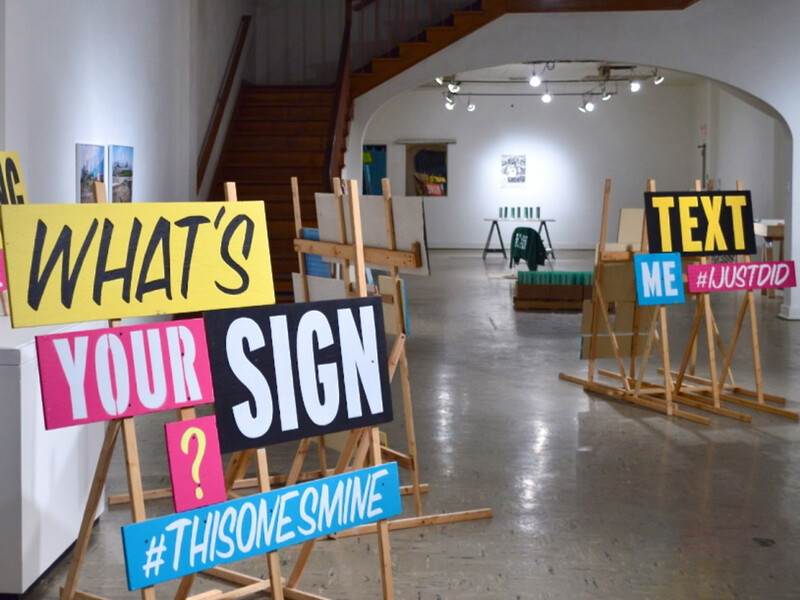 Roy Mata of Grand Prize Bar will serve as guest bartender and DJ and there will be performances by Guice as well as Bret Shirley — who recently participated in a site-specific show at the gallery with Iva Kinnaird — and Chris Ryan of Drone Bros. The gallery’s current exhibition, "Divine Intervention" — a show by the boundary-pushing Houston artist Mark Ponder — will be on view through December 20.
galleryHOMELAND is open to the public on Fridays and Saturdays from noon to 5 pm. Owned and curated by Houston-born artist Edgar Meza, Scott Charmin Gallery — hilariously named after two brands of toilet paper — is a testament to the functionality of DIY art spaces. 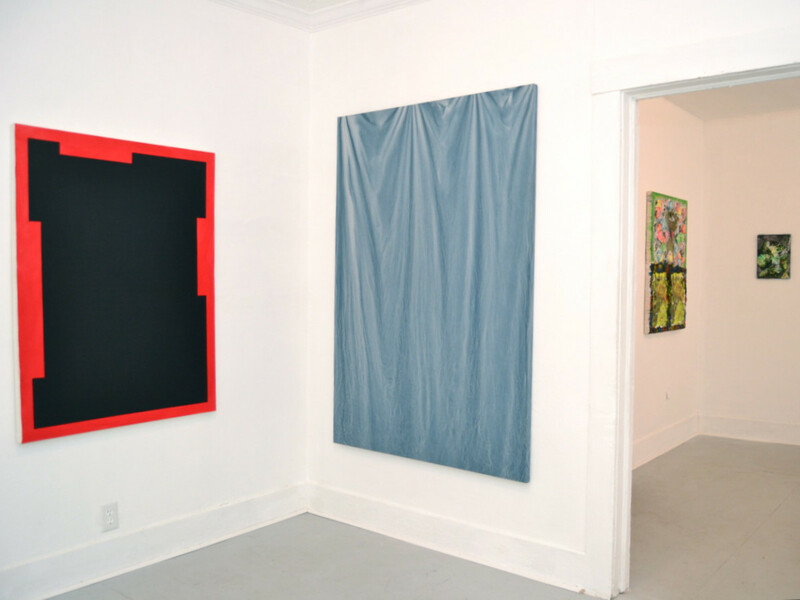 Situated in the front of Meza's residence on the northeast edge of the East End, the petite white-walled gallery has been open since February 2014 and has already hosted nearly a dozen shows from talented up-and-comers who are on the cutting-edge of contemporary art in Houston, including the likes of Dylan Roberts and Brandon Araujo. The opening reception for the gallery's next exhibition will be for local installation artist Michael Bhichitkul's "Bring a jacket, then take it off" on Friday (November 13) from 6 to 9 pm. While the show runs through December 20, Scott Charmin Gallery is viewable by appointment only, other than at opening and closing receptions. 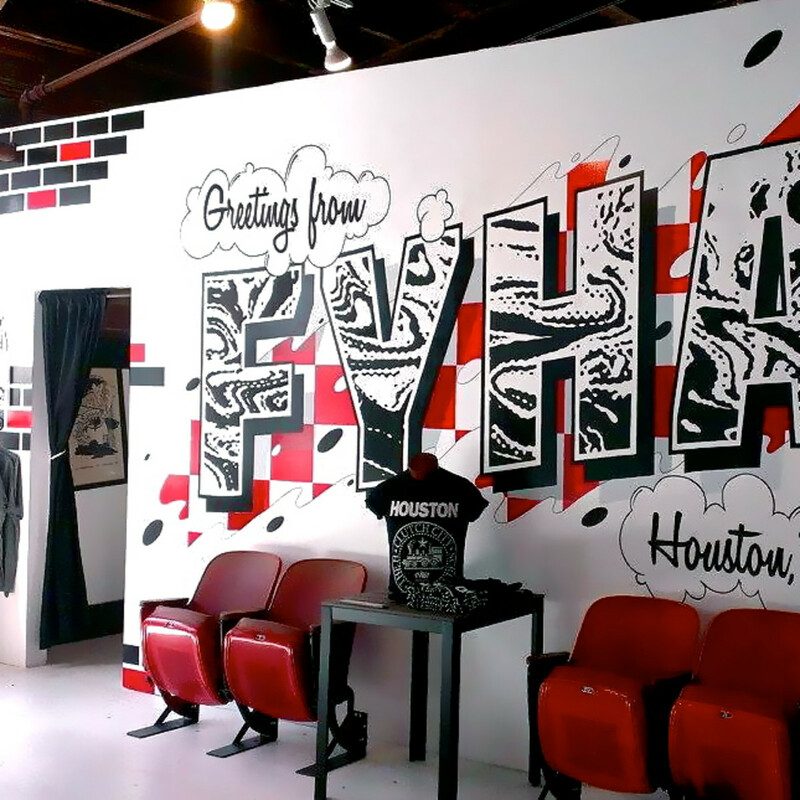 Chances are you've probably seen a "F*ck You Houston's Awesome" sticker somewhere around town, and you have the lovely folks at FYHA to thank for that. 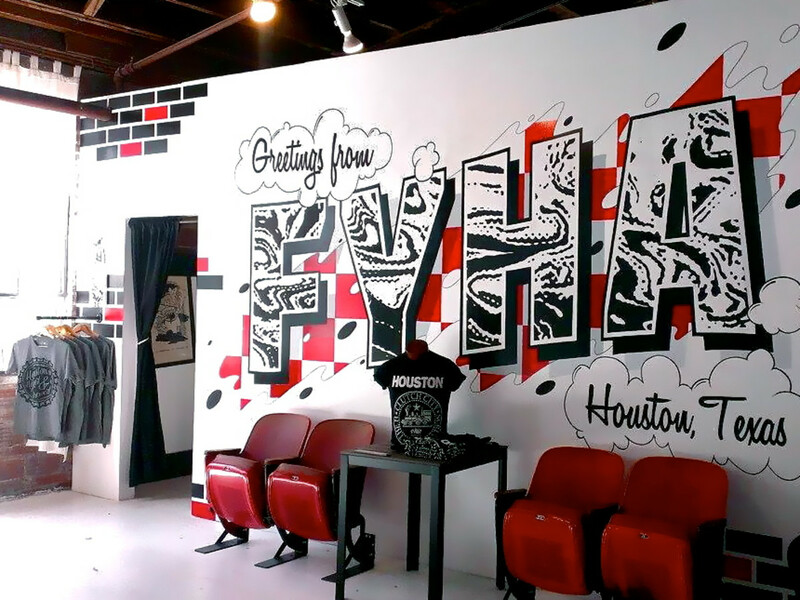 Emblazoned on hats, tees, sweatshirts, pins and totes, the phrase has Houstonians showing their local pride through a common sentiment: Yes, this city is awesome. 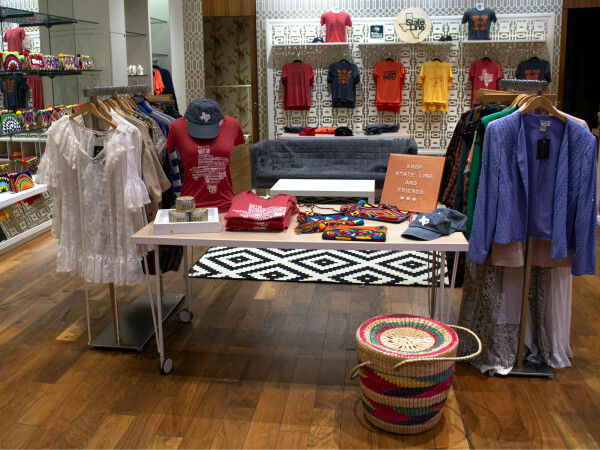 The brand is known for glorifying all things Houston, with shirts bearing the images of everything from the Oilers and NASA logos to Marvin Zindler. Personally, my favorite item is the 'Nickname' tee — which is apparently a crowd favorite, too, as I've seen it everywhere — that lists seven of Houston's various monikers, including H-Town, Space City and Screwston. In the name of promoting and preserving all things Houston, the small store even boasts two sets of seats from the beloved Astrodome. Located in the Commerce Street Art Studios, the FYHA shop is open Tuesday through Saturday from 11 am to 5 pm. Opened in June, Catacomb HTX is the quirky brainchild of graphic designer Blake Jones and Ashley Cid, founder of Milk + Honey Vintage. The shop, which features Jones' art prints and Cid's lovely vintage finds, aims to give local artists a place to sell uncommon goods — including tongue-in-cheek screenprinted tees, handmade pins, unique ceramic planters and a wide variety of prints — as well as often showcasing their pieces in art shows that have become a defining feature of the store. Catacomb HTX's next show, "No Thanks: A Show About Things We Don't Like" — which includes new work by nearly a dozen local artists — opens on November 20 with a celebration from 7 to 11 pm. The shop — also located in the Commerce Street Art Studios — is open Thursday through Sunday from noon to 6 pm, or call 281-783-9129 to make an appointment. 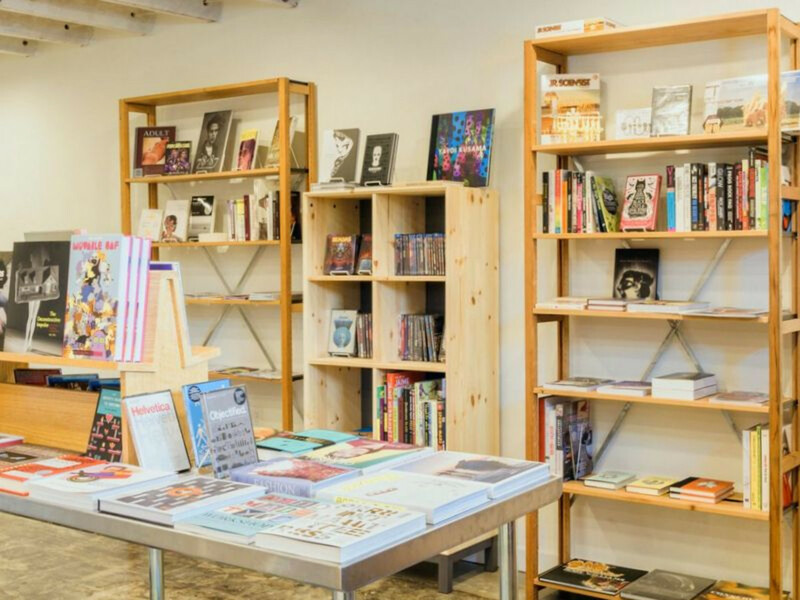 Just opened in September, WIRED UP – modern conveniences is part music store, part bookstore and everything in between. Co-partner Bucky Thuerwachter hopes the shop will help expose people to new sounds and ideas, and given the wide variety of merchandise available, that shouldn't be too difficult. 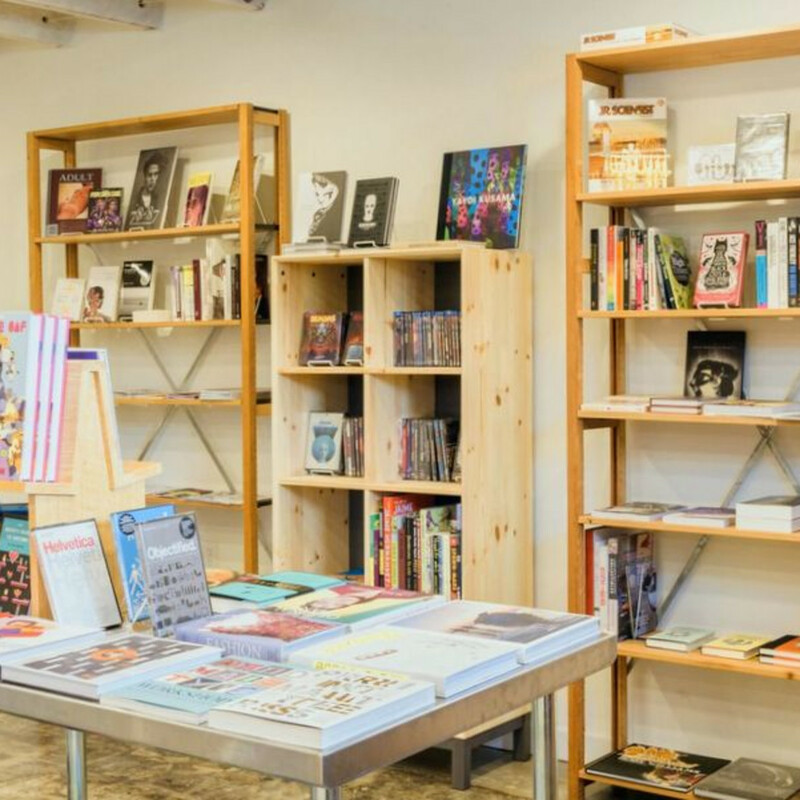 With records ranging from punk and hip-hop to noise rock and electronica, as well as items that run the gamut from locally screen-printed tees and art books to hard-to-find graphic novels and films, the store has something for everyone. WIRED UP also functions as a gallery, with the store just closing a show featuring six local artists last weekend, as well as a music venue. It will be hosting the record release party for Black Coffee on December 20 at 6 pm with appearances by Fat Tony and Spit Mask. The store is open Tuesday through Saturday from noon to 8 pm and on Sunday from noon to 6 pm. Having found great success with the first location of its updated-yet-old-school men's barbershop on Washington Avenue after opening in 2013, it's no surprise that Cutthroat has expanded to the burgeoning East End. Cutthroat is known for offering a modern take on traditional barbershop services, with straight-razor shaves, beard grooming and classic haircuts. The new shop — which opened in late May — features similarly edgy decor and is roughly the same size as the original, and you can still expect a complimentary pint of beer from 8th Wonder Brewery (they're currently serving Alternate Universe). Additionally, Cutthroat is helping to present a concert series at Walter's Downtown and The Brewery Tap, running from December 10-12, that features nearly two dozen bands. Located in the same building as — and sharing a partner with — WIRED UP, Cutthroat is open Tuesday through Friday from 10 am to 7 pm and on Sunday from 9 am to 5 pm. 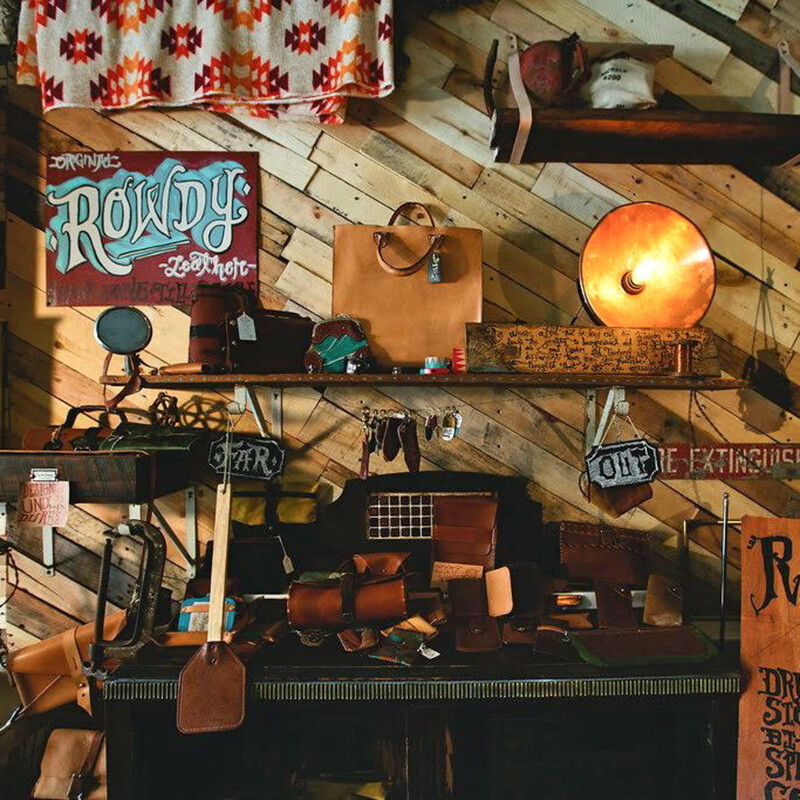 From unique vintage furniture, clothing and knickknacks to records, art, books and handcrafted leather goods, What Have You — which just opened in August — is aptly named. 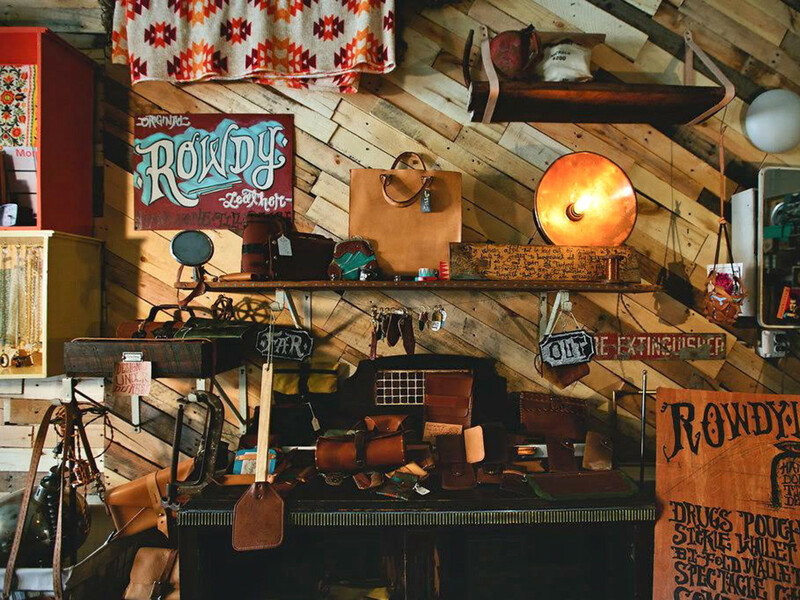 The shop's space, which was built out using recycled materials such as art crates and palettes, was created as an environment to promote local artisans in hopes to allow them to find sustainability in their craft. Not only does What Have You feature a wide range of goods, but also services like interior design and custom-built lighting and furniture. The store is hosting a community yard sale, which means people can pay a small fee to sell their things, from 9 am to 5 pm on Saturday (November 14), and vendors are encouraged to donate unsold items to the Star of Hope. What Have You is open Thursday through Sunday from 2 pm to 8 pm.